Visitors to Central Texas shouldn't miss an opportunity to tour the Texas State Capitol Complex. Legend, lore and history combine to make a tour of the Capital Complex educational, inspirational, and awe-inspiring. Located on 11th Street, between Lavaca and San Jacinto in Austin, the Capitol Complex covers 22 acres. The complex includes the original Texas General Land Office, which was built 1857. This building served as the Land Office for about 60 years. Today it is the oldest surviving state office structure and houses the Texas Capitol Visitors Center and the Texas Capitol Gift Shop. Of course, the Capitol itself is the main attraction. Completed in 1888, the Texas Capitol was designated as a National Historic Landmark in 1986. In 1993, an extension to the Capitol was added on the north side. However, you won't see it when you approach the Capitol, as the extension was built underground so the original view of the Capitol would remain. While in the Capitol, most people like to see the legislative chambers. The House Chamber, the Capitol's largest room, is located on the western side of the second floor and houses 150 representatives when the House is in session. The original flag from the Battle of San Jacinto and other artifacts are on display in the House Chamber. Also located on the second floor, but on the eastern side, the Senate Chamber still contains the original Senator desks purchased in 1888. A collection of 15 historical paintings adorn the walls of the Senate Chamber. Other points of interest in the Capitol include the original Governor's Office, original Supreme Court Courtroom, and original State Library. Additionally, several monuments, including one dedicated to the heroes of the Alamo, are located on the grounds of the Capitol Complex. Free walking tours of the Capitol are given daily (except on Thanksgiving, Christmas Eve, Christmas Day, New Year's Day and Easter) and begin at the south entrance. While in the neighborhood, don't forget to visit the Texas Governor's Mansion. The Governor's Mansion is located just across the street from the Capitol Complex, at 1010 Colorado. Tours are available Monday through Thursday except for a two-week period in late-July, early-August and major holidays. Also nearby is the Bullock Texas State History Museum. Located mere blocks away, at 1800 N. Congress Avenue, the Story of Texas includes interactive displays, an IMAX theatre, gift shop and other enjoyable, educational features. 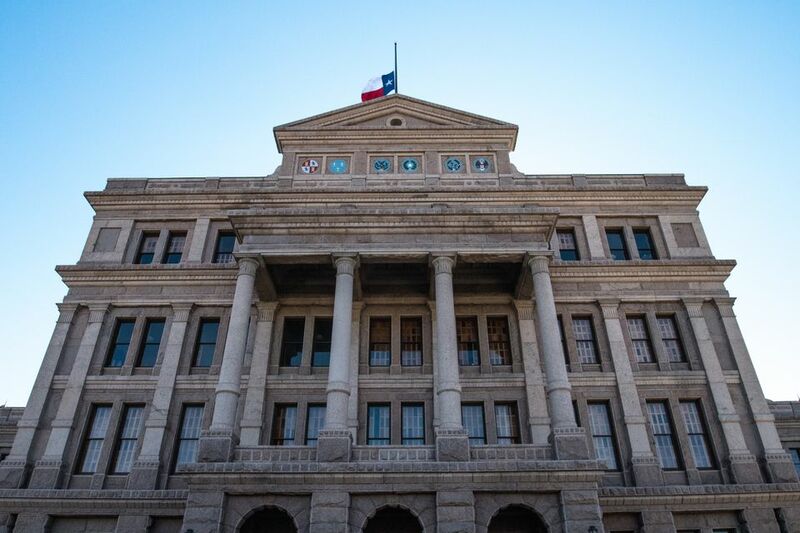 Between these three attractions -- the Texas State Capitol, Governor's Mansion, and State History Museum -- visitors will have no problem spending a full day soaking up tidbits of Texas history in an entertaining fashion.